Six miles on the schedule today...done! Ryan at Gone for a Run sent me three of their IDmeBAND's to review on the blog. This will be Part one in a three part series as he sent me three different types of IDmeBAND's to review. As many of you know, I believe this to be one of the most essential items a runner should have when out running. Having some form of ID on you is very important and especially having it around your wrist in case you are unconscious as paramedics are trained to look for ID. This is not an optional item. 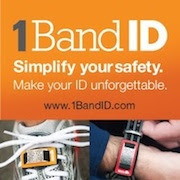 If you ever run outside alone, you should have an ID bracelet. 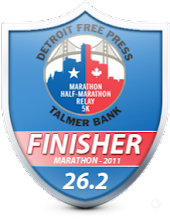 As you can see above, the ID portion is a medal(Aluminum) piece that moves around(not that it moves when you are running). It moves in case you need to pull apart the ID bracelet in order to use the paracord that this is made out of. 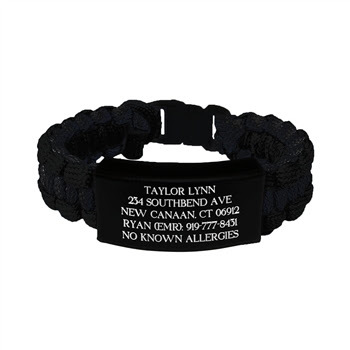 In an emergency situation, you could use the paracord for whatever your needs are(tourniquet, shoe lace, fishing line) and in the meantime, it makes a great ID bracelet. 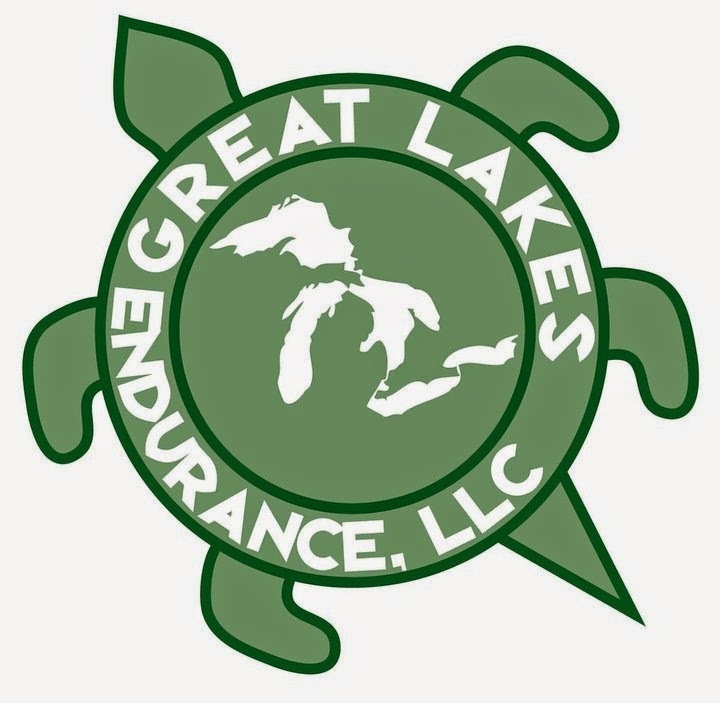 This is probably the best ID choice if you are running trails, hiking or in an area that you are unfamiliar with. Who knows - something like this could help save your life! From the pictures above and below, you can see the clasp that helps keep the bracelet on your wrist. Once you close this, it's not coming off so there's no worry that it will fall off or lose it. You can also see from the detail, the paracord that could be taken apart and used if needed. It really is a great idea. Here's a couple pictures of it on my wrist. It comes in four sizes - I chose a medium and it fit perfectly. Putting it on is very easy. Clip and go. It's that simple. It's very comfortable and you cannot tell it's on when you are running with it. It retails for $24.99 and you can customize the ID portion with up to six lines. It's also available in black, blue and pink. Stay tuned tomorrow for Part II of the IDmeBAND reviews from Gone for a Run. * Note: I received a complementary IDmeBAND paracord bracelet in exchange for a review. I was not required to give an opinion on this other than my own.